But like many careers, Dr Peter Macreadie’s is far less glamorous than people think. “I love the smell of mud in the morning,” he told 7.30 as he squelched through swampy salt marshes just outside of Melbourne. He is on a mission to share his love of these so-called “blue carbon” environments, which he believes are crucial in the battle against climate change. “Blue carbon is carbon [dioxide] that is captured and stored by the oceans,” he said. “But in the oceans, the heavy lifting is really being done by three ecosystems: you’ve got your seagrass meadows; your salt marshes or tidal marshes; and mangroves,” Dr Macreadie said. “They might be small in area but they’re really packing a big punch when it comes to climate change,” Dr Macreadie said. “I think it’s vital for us,” she told 7.30. “We’re a coastal nation, we have lots and lots of people live on the coast, we’ve got huge industries associated with the coastal zone. “I mean he does drive you nuts because he is so enthusiastic, but I think that’s also part of the package. 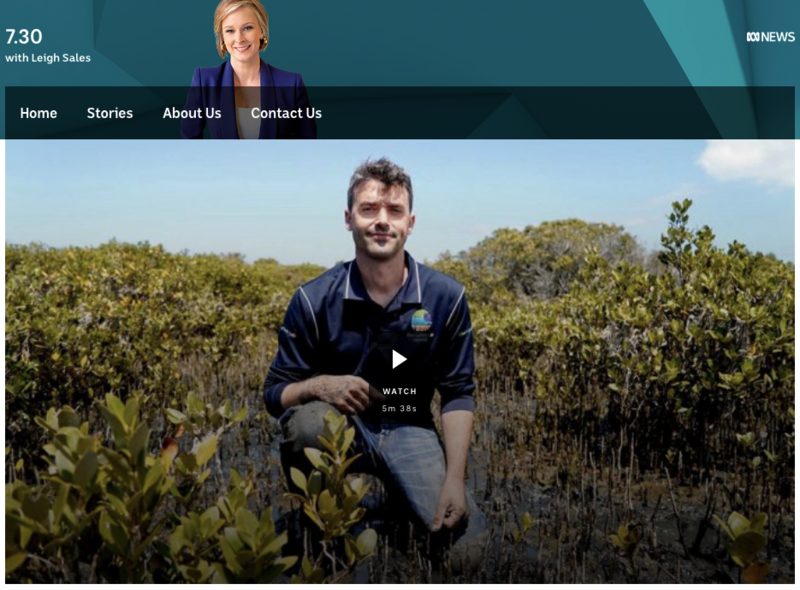 Getting industry players to care will be crucial in Dr Macreadie’s next mission — making blue carbon a part of carbon credit schemes, therefore allowing people to offset emissions by restoring wetlands. “It’s all about people power here,” he said.